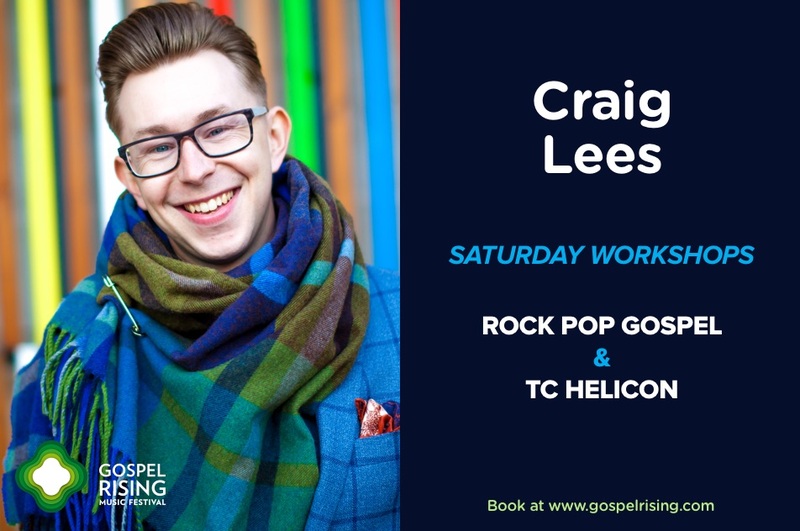 We’re delighted to welcome Craig back for another Gospel Rising this year! Craig is a contemporary vocal coach, choral leader and arranger. He is also President-Elect for the British Voice Association (BVA). He is Senior Lecturer on the Popular Music Degree at Leeds College of Music where he founded the LcoM Contemporary Pop Choir in 2014. Craig holds the post of “Musician in Residence” for the West Yorkshire Playhouse program for young people, where he directs the “Living Vocally” choir and facilitates several other community-based groups. He has delivered projects for leading voice technology manufacturer TC-Helicon, Mind The Gap Theatre Company (England’s largest learning-disability theatre house) and runs a regular choir for the John Lewis Partnership and The Workplace Choir Company. Craig is the Musical Director behind Leeds Contemporary Singers, a nine piece vocal harmony group that recently rose to fame as the winners of BBC One’s Pitch Battle. (check them out here)! He has presented international on the topic of choral pedagogy and delivered choral workshops throughout the UK and abroad.